Corporate transportation is a specialized service where every encounter is an opportunity to exceed a client’s expectations. For Kevin Smith Transportation Group, the focus is on relationships. From the preferred vehicle type for an incoming board member to the all-sports talk radio station preferred by the Chief Financial Officer. It is the smallest of details that make the largest impact. Our black car service is perfect for airport transfers, client meetings or top-level executives. Need to get your employees from the train station or off-site parking lot? Our employee shuttle service is what you need. Having a holiday party or company outing. No problem. We can get your entire team or company to where they need to go. We offer direct integrations with the industry’s leading global distribution systems such as Sabre, Galileo, Worldspan, Amadeus, DEEM and Groundspan. We service all major airports including PHL, EWR, JFK & all private airports in the area. We can provide daily shuttle service for your employees to get them safely to your office. We can arrange transport for your entire company to and from any holidy or corporate event. We can provide black car service for you and out of town clients for meetings or travel. What is Executive Car Service? Executive Car Service may mean different things to companies in the Greater Philadelphia, PA area. For some companies, it is simply transportation services, often taking the form of a sedan or an SUV, for employees in their company. For others, it might mean luxury transportation for Senior Management, often still taking the form of a sedan or an SUV. In either case, Executive Car Service is the preferred selection for companies who want to ensure their transportation solution is safe and reliable. Do I need to have a contract with KSTG to utilize your Executive Car Service? You do not need a contract to utilize KSTG’s Executive Car Service in the Greater Philadelphia, PA area. While we do have many clients who have contracts with us, which allows them to take advantage of our volume discounts, we do work with clients on a daily basis who request one-off Executive Car Services. To book a one-off request, simply contact KSTG at 610-222-6225 and speak to a Transportation Concierge. What is the difference between your Executive Car Services and using one of those mobile app companies? The actual differences between our Executive Car Service and a mobile app company are actually too numerous to list. While the obvious ones include safety (our Chauffeurs are background screened and fingerprinted and the mobile apps do not screen their drivers), training (they don’t train and we utilize a 50 point training program managed by our Fleet Manager who is a retired Police Officer) and luxury (we don’t consider a 2011 Toyota Camry an Executive Car! ), the reality is the safety and convenience of your employees is too much to risk not to use our Executive Car Service in the Greater Philadelphia, PA area. What if I need Executive Car Services to take someone outside of the Greater Philadelphia, PA area? Executive Car Services to places like New York, Atlantic City, Baltimore and other points of interest are actually quite common. With so many cities within driving distance, many companies will leverage our fleet of luxury vehicles to make attending meetings easier than ever before. So whether it is a one-off meeting or a recurring visit, KSTG can set you up with the perfect vehicle and Chauffeur to make your travel as smooth as possible. If I am a regular client of your Executive Car Services, is it possible to request specific vehicles or Chauffeurs? In fact, many clients don’t even need to make the request. With KSTG’s proprietary software, we can easily match vehicles and Chauffeurs to your profile so that when you call to book, we can easily assign those Chauffeurs who assisted you in the past. We have found that clients like the familiar face and it helps KSTG learn specific preferences like your favorite radio station or preferred bottle of water. With KSTG, it is those little touches that often go a long way. Sometimes I have a group of employees attending a meeting. Is that something you can handle with your Corporate Transportation Division? It is. 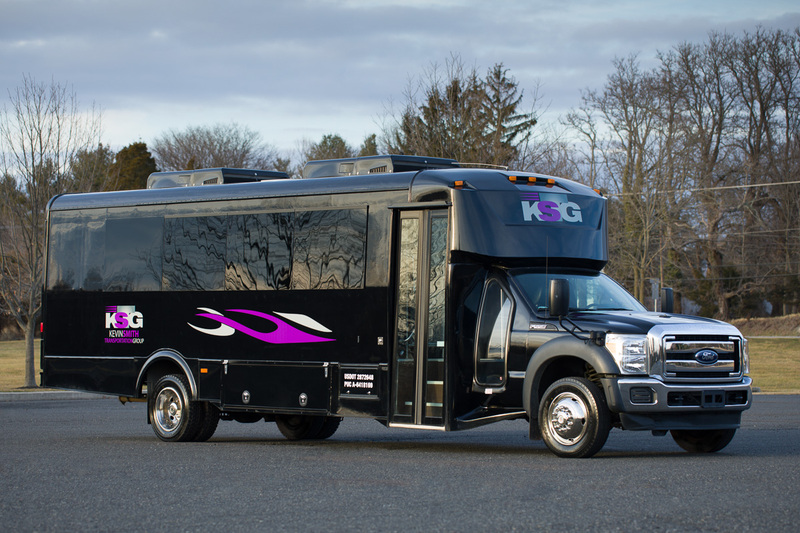 KSTG’s Corporate Transportation Division handles groups of many sizes across the Greater Philadelphia, PA area. So while the sedan may be the most common request, we handle trips every day that require SUV’s, Sprinters and even Mini-Buses for larger groups. Simply contact KSTG’s Corporate Transportation Division today for any transportation need you have. Do you handle Airport Transportation in the Greater Philadelphia, PA area? KSTG does handle Airport Transportation in the Greater Philadelphia, PA area including airports in New York, New Jersey and the Maryland and Washington, DC area. Sometimes I have larger groups that fly into the Greater Philadelphia, PA area. Can your Airport Transportation team handle arrivals across multiple days? We can. We often handle special events, training classes and other groups that often require numerous pickups and drop-offs and might require a variety of fleet options. KSTG can customize an Airport Transportation solution based on the size of your group as well as the timing of their arrivals and departures. What if I need Airport Transportation for employees that have very late or very early arrivals or departures in the Greater Philadelphia, PA area. You don’t have to do anything different than what you do today. A KSTG Corporate Concierge can arrange all of the details for you. With a 24/7 operation today, what you consider an unusual request is simply business as usual for KSTG in the Greater Philadelphia, PA area. We have employees who travel by train to work but who currently don’t have an easy way to get from the train station to the office. Can you help with this? What you need are Employee Shuttle Services. 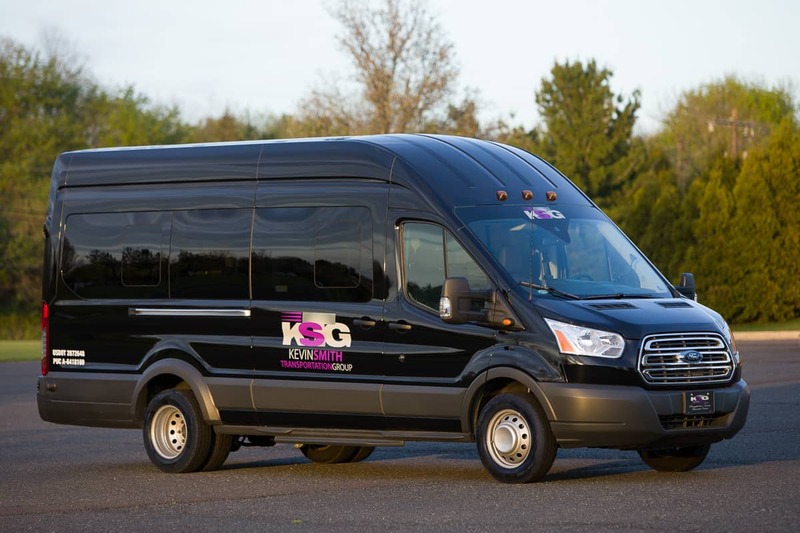 KSTG runs numerous Employee Shuttle Services for companies across the Greater Philadelphia, PA area. Employee Shuttle Services typically encompass shuttling employees at the beginning and the end of the work day. KSTG can build out your SOW, manage the logistics and most importantly, provide a safe and convenient way for your employees to get to work. Are there other benefits besides transportation from initiating an Employee Shuttle Service? Absolutely. Many of our clients have taken our Employee Shuttle Service as the opening to expand their recruiting range. Markets previously identified as too far away are now simply a train stop away. This has expanded their talent pool and allowed them to improve their workforce in a very competitive job market. Employee Shuttle Services is not just an operational solution but is also now an HR solution for those companies looking to grow. My company currently has a work shuttle but the time and effort of maintaining and running it isn’t worth it anymore. How can you help? We hear this story very often. We can help in a lot of ways. One, does your shuttle have any value? If it does, we can help you sell it. Then, we can work with you to build out a solution that utilizes the fleet and staff of Kevin Smith Transportation Group. You’ll remove the costs of the vehicle and staff from your books and more importantly the stress of managing this shuttle every day. The side benefit is your employees in the Greater Philadelphia, PA area will now have a significantly better experience every day. Do you offer Black Car Service in the Greater Philadelphia, PA area? We do offer Black Car Service in the Greater Philadelphia, PA area and see this option selected by many corporate clients who have a need to provide a safe and luxury transportation solution for their employees. How do we make sure the Black Car Service we reserve is what we want? 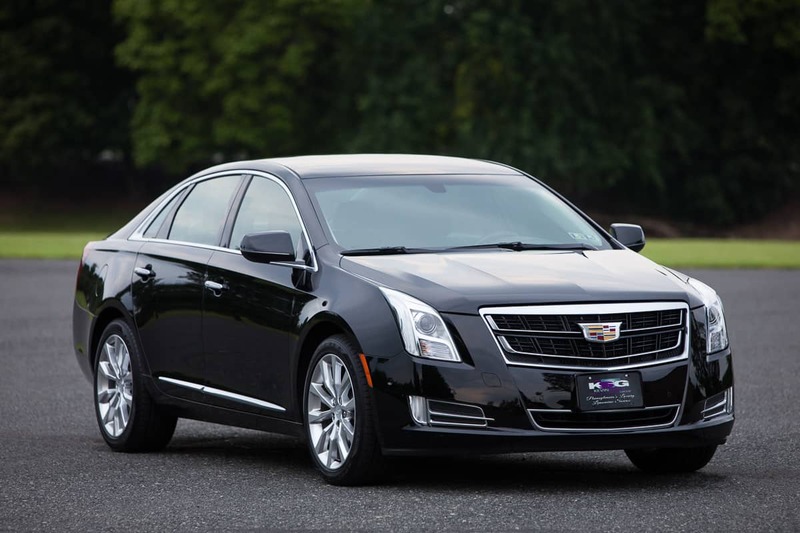 This is an easy answer for a company like Kevin Smith Transportation Group to answer as our standard sedan is a Cadillac XTS. This means you are guaranteed the luxury you should expect from booking a Black Car Service in the Greater Philadelphia, PA area.